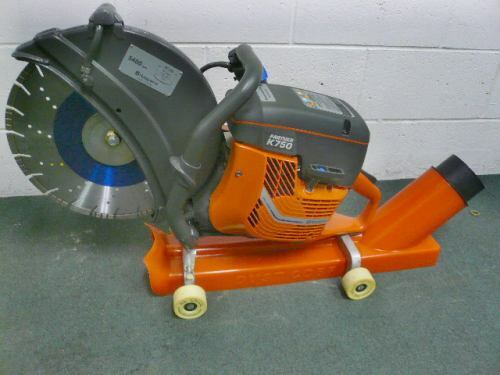 Dustless vacuum attachment for Partner K750 Chop Saws. Cut joints, slab, curbs, brick block dust free. 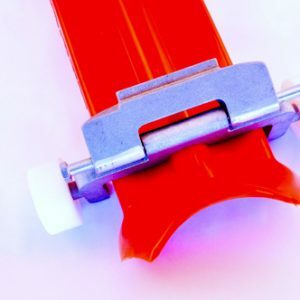 Easily attaches where rubber feet mount with supplied screws. 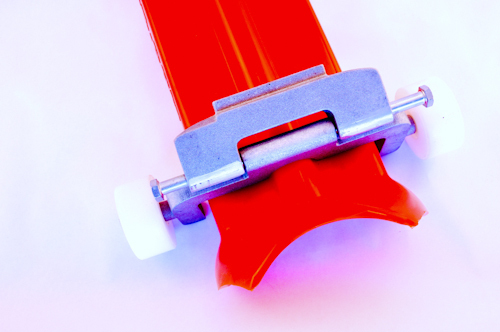 Lightweight (8 lbs)and very durable Urethane construction. 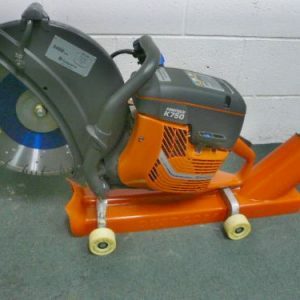 Increase the life of your saw and save cleanup time/ costs. Improve customer satisfaction by not dirtying up the whole neighborhood! 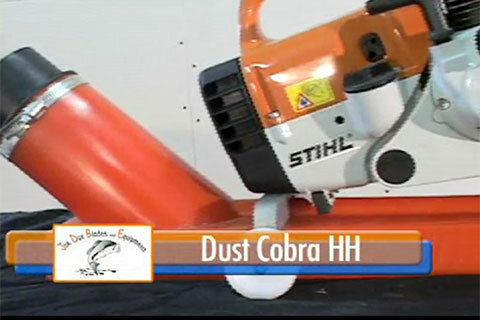 Dust Cobra provides an alternative to using water to keep dust down. Great for indoors/ outdoors, anywhere dust is an issue and water cannot be used – No Water hoses, No Slurry and No mess to clean up. A good vacuum with good filtration is necessary to function correctly as the saw puts out a great volume of dust. The dust cobra is about 85% effective with a sufficient vac. Kit includes: Cobra urethane body, front and back body brackets with non-marking wheels, Z- washers and Saw Foot Adaptor for the Husqvarna/ partner K750 Gas chop saw. 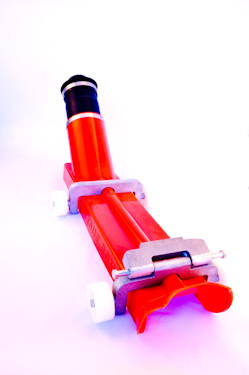 Also has a 4″ connector and a 4″-2.5″ reducer so you can use either a 4″ hose (ideal) or a 2.5 hose. Hose and Saw Not included.t included.